I can’t get away with saying that men aren’t complicated. Women don’t believe me. They’ve been on the receiving end of too many mystifying texts or communication blackouts. If men were simple, wouldn’t they say what they mean and cut the games? But if I said, “We guys are not complicated,” to a roomful of guys, every single one would nod. Men don’t see themselves as complicated. We like to think we’re pretty straight-forward. So who’s right? Are men simple or mysterious? I’ve come to realize that male behavior is mystifying to women—but not to other men. It all makes sense once you learn the male code. A friend of mine, who also writes about relationships, spends a lot of time reading books written by men for men about what it means to be a man. She says it’s been a huge eye-opener for her. She had no idea men worried so much. She now understands that men don’t really inhabit the same world she does. What he sees and what she sees can differ a lot. She can’t figure out his behavior by putting herself in his shoes, because his shoes don’t fit. It works both ways. Sometimes I recommend that men read a romance novel, to give them insight into female fantasies. They resist it every step of the way. They’re sure they’ll hate it. But it gives them a lot to think about. They may have never thought about why romance and passion matter. They start to see it’s less about how they perform and more about how she feels. The male code has gotten a lot of attention in recent decades. Authors like Sam Keen and Robert Bly raised awareness of the harmful and heroic sides of manhood. Most men are now aware that becoming a man has as much to do with culture as biology. 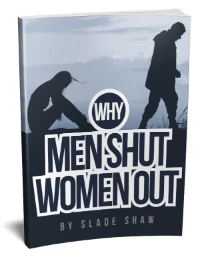 But what are the unwritten rules of manhood? And how do they affect you? Men are rational; women are emotional. Biologically speaking, the jury is still out on this one. But culture plays a major role in teaching boys and girls what is appropriate. Parents tend to use more feeling words to communicate with their daughters, while disapproving of emotional displays in their sons. By the time a man reaches adulthood, he has learned that men make decisions with their head, not their heart. Understand this rule, and you’ll see why men can sometimes come across as lacking a “sensitivity chip.” As a man, he prides himself on being rational and reasonable. Emotions distract him from the real business of problem solving. Men are harder on themselves than anyone else. They don’t want to fail. The last thing they want to do is hurt someone or mess up something that’s going good. Understand this rule, and you’ll see why he takes it so hard when you say anything that smacks of criticism. While you know you’re just pointing out something that would make your relationship better, he’s hearing that he’s failed you. Men take failure very seriously. A man will leave a relationship if he thinks he can’t be who you want him to be. He’d rather leave than let you down. Visit any playground, and you’ll see boys jostling to be the best. One boy wins admiration for being the first to do something crazy, while another wins applause for delivering the most cutting put-downs or having the coolest technological toys. There’s no single path to being the best. But some boys struggle to excel in anything. Having low status feels like social death. He’ll do anything to fight his way back in—even if it means compromising his values. Understand this rule, and you can see why so many men jostle to win the company of young, attractive women. Her appearance matters less than the status he achieves when other men see him with a beautiful woman on his arm. 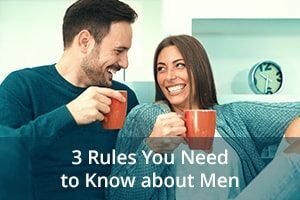 From a female perspective, these 3 rules may sound silly or even wrong. But it’s worth remembering that he didn’t get to choose. The male code applies to every boy from the day he’s born. If a man is lucky, he’ll become consciously aware of the unwritten code he feels compelled to follow. That gives him choice. It lets him learn to be more flexible. He’ll take the best parts of “the code,” while leaving the rest behind. If he’s even luckier, he’ll meet a woman like you—who cares enough to try and see his world through his eyes…while inviting him into deeper layers of emotional connection. This entry was posted in Dating, Relationships and tagged men, understanding men by James Bauer. Bookmark the permalink. Problem is they base decisions on THEIR emotions, hardly ever taking into consideration the woman’s emotions. As long as they aren’t uncomfortable it’s all good. My ex husband shut me out for yr’s. I was so lonely in the end that I finished our relationship. I moved into the spare room and waited for 8 months thinking he would come knocking on my door but he didn’t, he just said he didn’t love me. So I found someone else. Then he wanted me back and I ran back. Things were finally what I had always dreamed they should be. I was so happy. Those 3 months were the best time we spent together, then the shock. He met another woman and left me. It broke my heart. We are now divorced. It’s been 3 yr’s since we split up and I still can’t move on. I am 51, quite attractive but just not interested in any men. 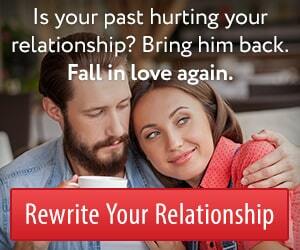 I cannot get my ex out of my head. What can I do? My late husband was an electronics engineer – the epitome of logic. My observation has been that men, as well as some women, like to Think they make decisions logically; however, in reality they make decisions emotionally, based on what they Want to do, have, be, etc. Then they make up reasons that Sound logical to justify their decisions. But that’s all okay with me. Just another way of understanding the code. I absolutely agree. My ex made all kinds of logical excuses to justify his actions but when I broke it all down, he was scared and confused and ran with his tails between his legs-that is all. Some men like to think they make decisions based on logic but it’s very core motivation is emotional.